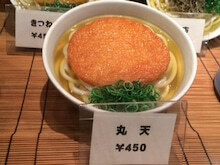 Udon shop you want me by all means go is "Inaba Udon". The reason for recommended, will want to eat fast and appetite increases even only smelled the odor of soup of Inaba noodles. If you put a small green onion, and also it will be more fragrant! ! 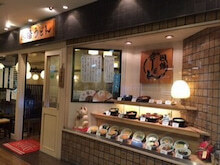 This shop soup stock is abundantly using seaweed, it is Hakata unique close to the sea. If I this shop has been opened in Tokyo and the world, it will no doubt be praised by customers. 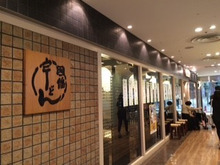 Soup of the day as the shop of policy, seems to want to eat on the same day, other than the Hakata and Fukuoka store openings, but it does not seem to think at all. There is also great! ! ! 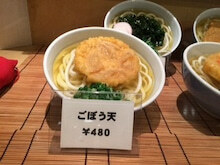 Ingredients is delicious even "original Udon" that does not contain, but "MaruTakashi Udon", "burdock heaven Udon" is famous also in Hakata, Fukuoka. If there is a "Kashiwa rice ball" in there, it is the best way of eating. Try to eat Inaba Udon Come! ! !